Claude Jolly is MED-EL’s director of cochlear implant electrode array development, leading the research and design of our flexible electrode arrays. Since joining MED-EL in 1998, Claude has authored or co-authored over 45 scientific publications, and his name is on over 80 United States Patents. Here, the MED-EL Blog got the chance to sit down with Claude and talk about what drives his passion for enabling our recipients to hear their best. MED-EL Blog: Thanks for sitting down with us, Claude. Could you start by talking a bit about your background, and how you came to MED-EL? Claude Jolly: I’m originally from France, but went to the USA in the 1980s to study bioengineering at the University of Washington. My studies had a special emphasis on cochlear implant electrode design, and the potential field distribution of electrical stimulation. Then, after 25 years in the USA, I returned to Europe and started at MED-EL. MB: What sparked your interest in developing cochlear implants? CJ: When I was working on my Ph.D., I got connected with Sandy Spelman, who was a pioneer in the development of focused electrical stimulation in the cochlea. This is the scientific basis behind how all modern cochlear implants work. But at the time, in 1990, there were no more than a few thousand cochlear implants worldwide. What caught me then was the excitement in how fast-paced the research and development was. There were always new developments, and seeing positive results with patients was palpable everywhere. MB: Why did you choose to focus on cochlear implant electrode arrays, specifically? CJ: I chose to concentrate on electrodes because, when we were working at the University of Washington, our hope was to reduce the channel interaction in a cochlear implant. That is, to make the stimulation of a cochlear implant more specific and efficient so recipients can hear more naturally. The natural way to do this is by designing better electrodes, so that’s the field I ended up focusing on. MB: What have been some of your favorite developments, when it comes to electrode arrays? CJ: My favorite development has been working on ultra-flexible cochlear implant electrode arrays which cause very little damage upon insertion and placement. At MED-EL we call this “structure preservation” because the flexibility is key in helping to protect the delicate hair cells in the cochlea. I’ve been able to develop electrode arrays that preserve recipients’ residual hearing regardless of insertion depth. Additionally, I am proud of having developed a good way to estimate a cochlea’s length, which means surgeons can provide their patients with a specific electrode array that fits to the length of their specific cochlea. We call this “complete cochlear coverage,” which allows our cochlear implants to stimulate the full length of the cochlear, providing a richer, more natural sound quality. MB: You make custom cochlear implant electrode arrays for the needs of specific MED-EL recipients. How are these designed? What information is needed to design them? CJ: Custom electrodes are intended for recipients whose cochlea is malformed. There are multiple malformations of the cochlea, such as common cavity, incomplete partitions of different types, wide cochlear aqueducts, and cochleae with side-effects such as gushers. Each one of these cases may require an electrode array adapted to the malformation’s type, size, and location. We design such electrodes with the surgeon’s input, including pre-operative imaging such as MRI or CT scans. Once we have this information, my team and I examine it to evaluate the cochlea’s size and possible pathways for electrode insertion. It is critical that the dimension and shape of each custom electrode are exactly right, because that is the only way to provide recipients with the best possible hearing outcomes. Want to hear more from the brilliant minds at MED-EL? 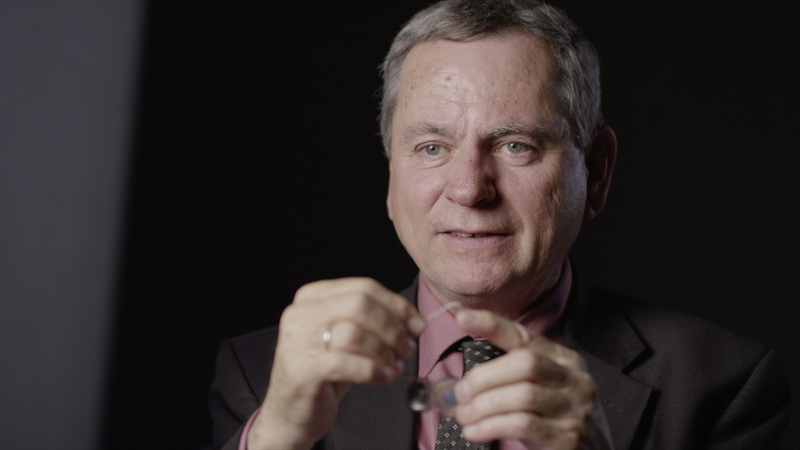 Check out our interview with the inventor of the SYNCHRONY Cochlear Implant’s revolutionary magnet, Martin Zimmerling! Liked this post on cochlear implant electrode arrays? Then subscribe to the MED-EL blog by entering your email below to get all of our upcoming exclusive interviews!